We are a boutique accounting practice in Port Macquarie that draws on real business experience to provide smart solutions that make your life easier. We understand that every business has different goals and financial obstacles, so we take the time to get to know you and your company in order to create customised accounting solutions that help you achieve your financial and business targets. 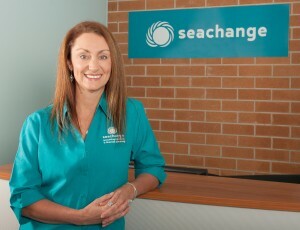 With over 25 years experience working in public practice, as well as practical experience running businesses, the SeaChange team have a thorough understanding of the challenges and frustrations that business owners face – and the best way to manage and overcome them. As an extension of your business team, we’re committed to providing honest, practical and straight-forward advice in language that makes sense to you. We love technology, and we love helping make your life easier with simple cloud tools and efficient systems. As a Xero Silver Partner practice, we have the skills and experience to assist you with training and implementation, as well as provide recommendations for additional software that will streamline your business processes. SeaChange Accounting Solutions is proud to be a Chartered firm and uphold the profession’s commitment to ethics and quality in everything we do. As Chartered Accountants, we offer the perfect blend of training with practical experience – allowing us to add greater value to your business. The power of the cloud allows us to work with individuals and businesses all around Australia – contact us to discover how easy it is to get started. Sandra is a Chartered Accountant with a Bachelor of Business degree in Accounting and Finance. She is a Registered Tax Agent and a Xero Certified Advisor with over 25 years experience in accounting consultancy.